Hi, my name is Moonie Noujiam and I am the owner/operator of Tropical Heating and Air in the Orange County Area. For over 23 years I’ve been helping families such as yours stay comfortable in the summer and winter by keeping their air conditioning and heating systems working in top condition. We service, repair and replace all heating and air conditioning makes and models. Also, we service, repair and replace all plumbing fixtures, water heaters, gas lines, garbage disposals, piping and sewer plus much much more. We are licensed ( CA- 851205), insured, and bonded. ALL our work is GUARANTEED! We service the orange county and surrounding areas and we are available when you need us 24 hours a day, 7 days a week. We want to be your trusted adviser for all comfort needs. EXPERIENCE – For over 23 years we have been helping our customers feel comfortable in their homes by repairing, servicing and replacing their heating and cooling systems like they were our own. ETHICS – No one can match our ethics and values. 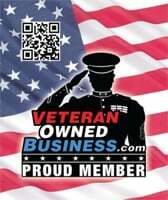 We are veteran owned and operated. Faith, family and values come first. We take pride in our work because it is accomplished with integrity, honesty, and quality expertise. We want you to be our customer for life. SAFETY – You don’t have to worry about inviting us into your home. All Tropical Heating and Air employees – including the owner – have undergone background checks and drug testing. We require all our techs to have at least three years’ experience in the field and PUT our customers first. We keep up to date on all new advances in the industry and the best and safest practices. TIME – We are here for you when you need us, 24/hr a day and 7 days a week. We have flexible scheduling. Once you become our regular customer, you are never charged overtime hours, even if the job takes longer than expected. FAIR PRICING – We know that unexpected AC/Heating problems can be costly. Our main concern is getting your home comfortable again for a fair and reasonable price. Is Your House Making You Uncomfortable? If you home is not comfortable do to problems with your air conditioning or heating, then give a call so we can help. Our skilled technicians can diagnose, repair, or replace costly, non-working, inefficient units that can save you money and make your home feel great again.